“We see things not as they are. 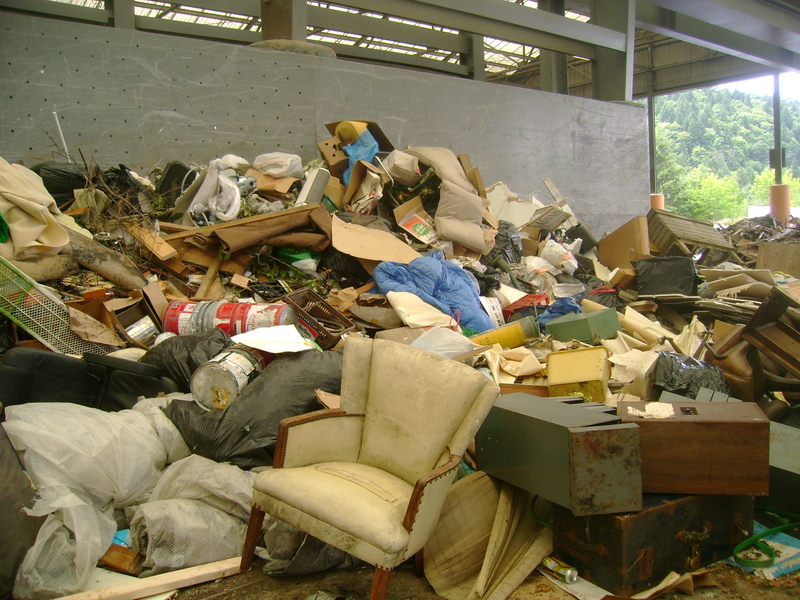 Here I am at the local dump amongst old unwanted things. The place reeks of decay. It is quite the surreal scene and there is much action going on. People dumping this thing and that. Workers busily compacting it all; pushing it aside for the next dumpload. I am here with my sister. We have reached that stage in life when you end up going through and cleaning out your parent’s stuff. It is a strange and bittersweet task that most of us will experience in our lives at one time or another. We have a truckload of old junky things from the garage, nothing too sentimental or important; those things will come later, for now it is this. My sister is a wonder of a worker and she immediately gets busy throwing things onto our assigned section of a giant junk pile. This is only my second time here but I have begun to enjoy it. Yes, it is loud and stinky and full of garbage that the birds fight over. It’s not those parts I enjoy. It’s the throwing out of things. It is a terrific stress reliever and its a lot of fun. I love to take an item; a thing…whatever it is; an old wooden chair, a mangled wicker basket, an ugly old lamp, whatever. I throw it in rather haphazardly with thump and a crash and sometimes a dull deep satisfying thud into a pile full of other people’s junk. I am not a violent person but I do admit this act of throwing things out is exhilarating and liberating too. At times it can be fun to break things…the sound, the feeling, the energy emitting from the very act. Molecules crashing into each other. My whole body shakes as I release piles and piles of pent-up stress and anxiety. It is a rather freeing experience. All our lives we are taught to value and treasure things. It’s a bad thing to break them. Things are valuable. At one time someone paid good money for all this stuff; these very things that litter this gigantic open air warehouse which sits on the industrial end of the city. Now these things are unwanted junk and it feels good to destroy them. I start to feel good. The sun is out. It is a nice day and I start to forget why I’m here. 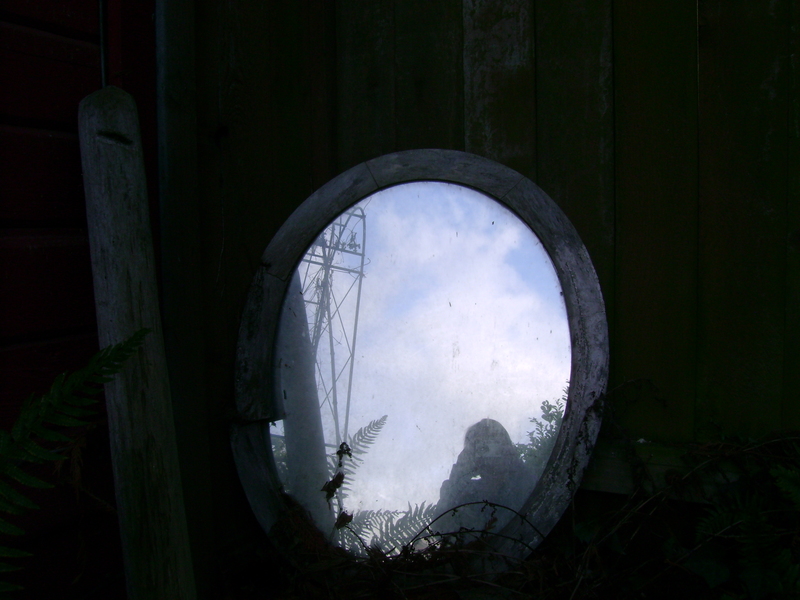 This is a freeing experience but it is also a reflective one; all the while that I’m releasing all this pent-up aggression I am also watching myself throw out pieces of my past: the old white chair that sat in my parents room. I used to like to sit there, sing songs and talk to my Mom about all kinds of things when I was small about 5 and 6. It reminds me of those times…there goes my Dad’s old metal desk with a massive ka-boom! I remember the drawers being filled with pens and rubber bands. I remember him sitting there writing, stapling things. I recall the smell that his adding machine would give off when he used it. It seems like almost yesterday…there goes that ugly green lamp. It used to sit in the living room of the old house. I always hated that lamp, now I think I might miss it. It’s strange. All of a sudden I feel like taking it all back; the desk, the chair, the lamp. “I can save these things. I can fix them.” My thoughts race. I never put much stock in these things before but now, now as I watch these pieces of my past, these things and they are just things…as I watch myself throw them out one by one…I realise these are moments I’m tossing out, moments with loved ones that I’ll never get back. Now quite unexpectedly these things; these old pieces of junk have gained significance to me. I admit I was tempted to keep some of that old junk but I didn’t. I couldn’t but I did keep something; I noticed it when we first got here. I had almost stepped on it. It is an odd thing to see at a place like this. A photo of a smiling and happy family. 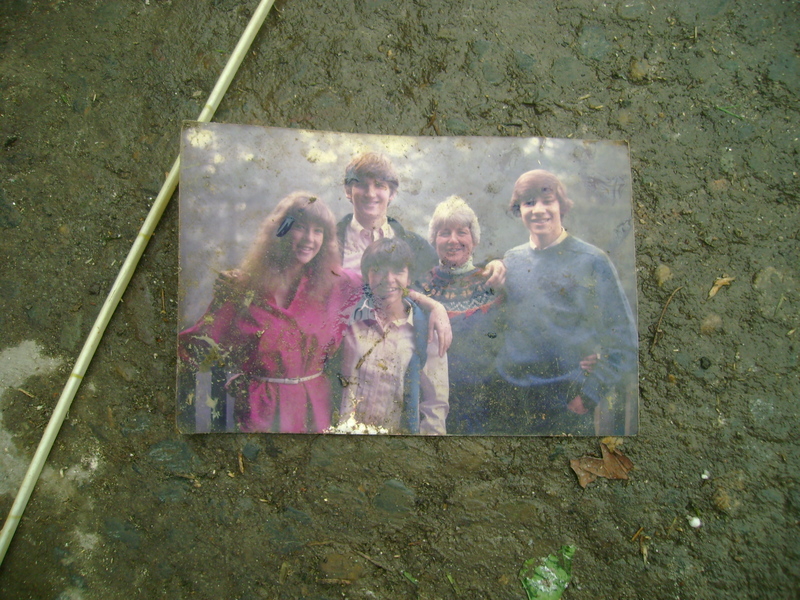 I don’t know who they are but it strikes me as lonely thing…this orphaned photo. Someone’s memories laid out there. Left behind. For some reason it made me feel better to snap a photo of it. To me, it’s like in some small way these people, whoever they are won’t be completely forgotten. Since that day I have taken inventory of all the things I treasure most in the world ( my favorite things) and I’ve discovered that not one of them hold any real monetary value. These things I hold so dear, are representations of moments but it goes beyond that; to me, it’s as if a tiny drop of essence of the owner is left behind in the object. I can almost feel it. At least it makes me feel good to think I can. 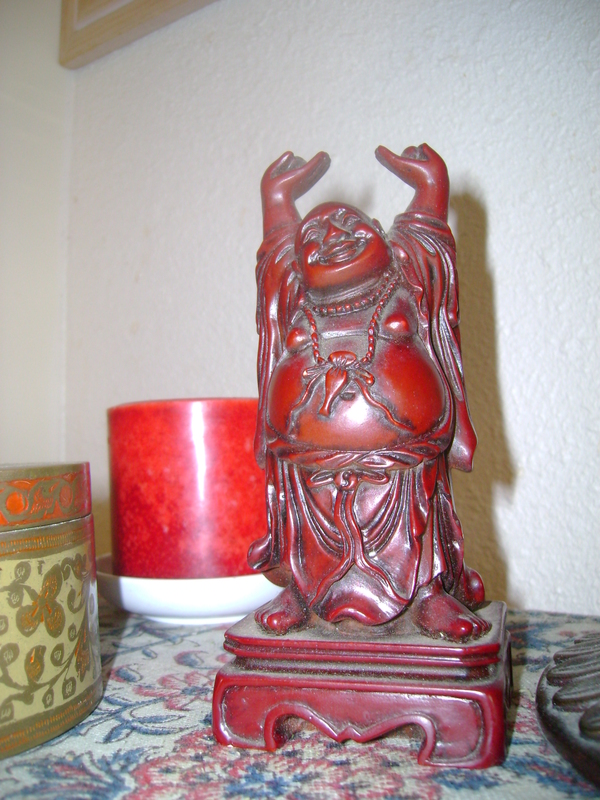 One of my most recent treasured objects is a Buddha statue. It was my Dad’s. It sits on my nightstand. Whenever I look at it with it’s happy smiling expression, I think of him and I smile back.That feeling is priceless and could never be replaced by a million things. I appreciated your description of how freeing and energizing it was to toss away the things that no longer served you. Like you, I find it challenging to let go of things that seem to be a memory-holder, things that evoke a time and a place and the presence of people who are no longer with us. It is hard for me to trust that the memory resides in me, not in the “thing.” I really liked reading this piece, and the photos were a great addition to the story. Hi Janet: Thanks. It was a cleansing experience to be sure. I don’t think I would have attached so much signifigance to the experience when I was younger. In some strange way I am better because of it. I think I appreciate the little things more. I like how you say that it is hard for you to trust that the memory resides in you and not the thing. I feel the same. I couldn’t have put it better. A moving post that we all can relate too. Letting go of the things we value is hard but the priceless ones we already carry with us in our hearts and memories . These will never change and will never be takes away. HI Island Traveler: You are so right. Thanks for the thoughtful comments. You lead the reader to a place that is much deeper than it seems to be. An interesting trip through a mind that is reminising. Great work. Budai traveled from town to town giving candy to poor children, only asking a penny from Zen monks or lay practitioners he met. One day a monk walked up to him and asked, “What is the meaning of Zen?” Budai dropped his bag. “How does one realize Zen?” he continued. Budai then took up his bag and continued on his way. Hi BeeBee! That was a pingback. I’m sure as time goes on you’ll get more of those from other bloggers. Very beautiful. This is a real stressful experience because it takes back your memories to far away places and times. It is also healing and relaxing to do it. This is such a lovely post Strawberryindigo! Very sad to clear out parents’ things, but wise words… we should all remember that our favourite things are often the least valuable in a monetary sense. It puts things into perspective. 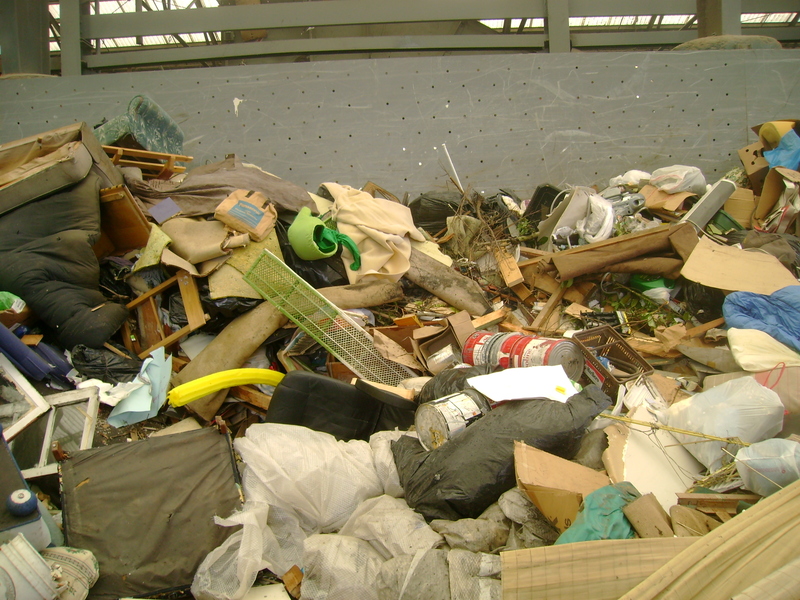 Your trip to the dump reminded me of a similar trip just recently in England… I helped my Mum clear out her kitchen cupboards and we had fun filling boxes for the dump and for the recycling shop! It was definitely freeing!